‍♀Berkeley Sales Gallery by appointment! while ensuring you’re never far from life’s conveniences. this exclusive enclave provides an ideal backdrop for all things wonderful. 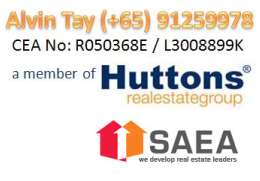 Why Invest/Buy Seletar Park Residences? All of life’s necessities and conveniences, right at your doorstep. with a host of expressways and major roads nearby to ensure fuss-free connectivity. A variety of educational institutions, ranging from pre-school care centres to institutes of higher learning can also be found in the vicinity. This includes established names such as Nan Chiau Primary School, CHIJ St. Nicholas Girls School, Rosyth School, Anderson Junior College, Nanyang Polytechnic and Lycée Français de Singapour. Asplenium Land Pte Ltd. is a property development firm. The company was incorporated in 2010 and is based in Singapore. Asplenium Land Pte Ltd. operates as a subsidiary of Tuan Sing Holdings Ltd.
With more collective sales breaking record prices, * The Rise @ Oxley * seems to be selling at crazy low prices! Wait no further! [/vc_column_text][vc_column_text]Situated just 300 metres from Rama 9 MRT Station and 600 metres from the Airport Link, Life Asoke Rama 9 is one of Bangkok’s most eagerly anticipated new development launches this year, and is located in the heart of the City’s fast emerging New CBD, headquarters to multinational companies and home to world renown shopping centres. ASHTON Asoke - Rama 9 Super Luxury Condominium from Ananda. while the Omega Building on the right has 50 floors and 240 condominiums. Ashton Asoke Rama 9 will be ready for occupation at the end of 2020. 396 automatic parking lots will be provided to residents at Ashton Asoke Rama 9. Why Invest/Buy ASHTON Asoke - Rama 9? located on the last corner plot in Bangkok’s New CBD, only 230 metres from Rama 9 MRT Station. From Rama 9 MRT Station it is just two stops to Asoke and the MRT/BTS Interchange. and will start operation at the end of 2022.
is right in the centre of Bangkok’s New CBD, the headquarters for multinational companies such as Unilever and AIA, as well as the new Stock Exchange of Thailand. Grand Central Plaza Rama 9 is a new shopping complex, and across the road is Fortune Town and the Mercure Hotel. [/vc_column_text][vc_single_image image="10459" img_size="full" alignment="center"][vc_column_text]Ananda Development is one of the best known property development brands in Bangkok. In 2011, it obtained IPO and has since gone on to become the #1 real estate developer who build the projects in close proximity to mass transit stations in Thailand. It is a leading developer of residential developments in close proximity to MRT (Mass Rapid Station) or BTS (Skytrain) Stations in Bangkok. Ananda has developed the “IDEO” brand, first launched in 2007. This developer prides itself for its stylish, modern and high quality, yet affordable products. WHY WAIT TILL PRICE INCREASE!!!!! . But for how long?? Our very limited and most popular best buys. Information is accurate as at *[11/9/2017]* and pricing are indicative / "while Stock last" basis. Our Beautiful Sales Gallery with FULL Mock-up unit _closing soon_ on the 30th September! The neighborhood and the location are not the only reasons to consider the Parc Botannia Condominium as a potential future home. The project of this Singapore condo respects the latest standards and won’t be just comfortable and beautiful, but also luxurious. It marches on providing a comfortable and convenient lifestyle while being surrounded by exceptional finishes and high-quality fittings. As mentioned before, living here will allow you to be surrounded by luxury, as the condo will provide a gorgeous swimming pool at the discretion of its residents, a gym that will help you follow a healthy lifestyle, and even an elegant pavilion where you can enjoy private or business gatherings. Proposed 6-storey ramp-up B2 Industrial Development at 11 Tuas South Link 1. Why Invest/Buy Shine @ Tuas South? Add more prominence to your business with Shine@Tuas South! enhance efficiency of your business operations. high structural floor loading and the possibility of overhead crane installation for large units. Certain level 5 and 6 units have a floor-to-roof height of 8.8m and more than 1000m2 of space. Your visitors will also be pleased with the ample parking and direct vehicular access to every unit. Tuas West Extension (ready by end 2016), Jurong Region Line as well as Joo Koon Integrated Transport Hub! and is conveniently linked to Malaysia via the Tuas 2nd link and the future SG-KL High Speed Rail. potential capital appreciation and create better synergies for your business! while providing much needed conveniences. and recreational facilities on the fringes of the new port. creating further competitive advantages for your business.